This was most fun round of IDYTET we played because once other fair patrons saw me taking photos of the insane fair food offerings they offered suggestions and directions to more crazy stuff than I thought was already served at the Ohio State Fair. Grab your Lipitor - we’re going in! On the completely unofficial visitor’s poll (AKA the people standing next to me while I took the picture) the Roast Beef Sundae is a clever way to repackage roast beef, potatoes and gravy as a sundae complete with chive sprinkles and a cherry tomato on top. This is the one everyone said they wouldn't mind eating. You can try this one at home on April Fool’s Day. If the main dish sundae is too normal for you, there’s the Krispy Kreme Doughnut Hamburger. We don’t need no stinkin’ hamburger buns. We have doughnuts! You can’t go anywhere in Ohio without being offered the candy version of our state nut the Buckeye. We make a candy version because eating a real buckeye nut is poisonous. When our state pride and deep fat frying powers combine, we unleash the Deep Fried Buckeye unto the world. If you don’t want to eat dessert first, you can jack your cholesterol with a main course of a deep fried grilled cheese or a deep fried peanut butter and jelly sandwich. What? 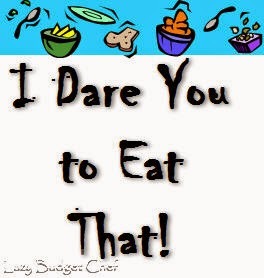 You don’t like chocolate in your peanut butter and peanut butter in your chocolate? What’s wrong with you?! Oh, I get it. You are eyeing the giant deep fried gummy bear instead. I’d be careful, deep fried gummy bear looks like he is into cheesecake photos. Photos of deep fried cheesecake that is. I felt my blood sugar spike every time I walked past the booth. Let’s take a break from the desserts for a little protein – hard boiled egg on a stick! This one I actually ate. The Ohio Egg Council serves it at their booth. It tastes like a hard boiled egg. On a stick. I’ll take one of everything and on my next dentist appointment my doctor will inform me I helped him pay for that private island he’s had his eye on. 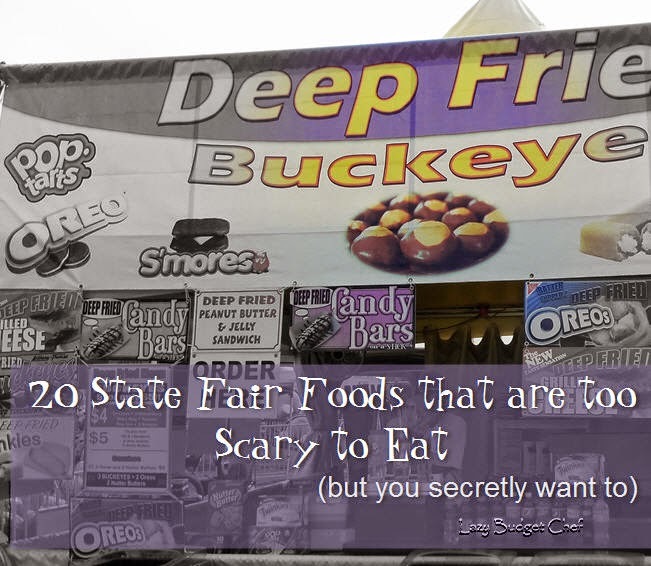 Have you tried any insane fair food? What was it? Did you like it? Or does the thought scare you?